Orcas are not whales, they are dolphins! 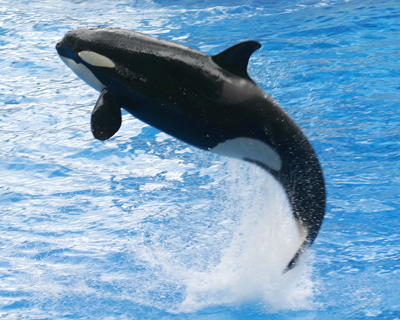 Because orcas are also called Killer Whales,?they are often mistaken as whales.? Instead, they are the largest dolphins in the world. ?Orcas have also been called Blackfish and "the wolf of the sea". There are orcas in every ocean throughout the world. 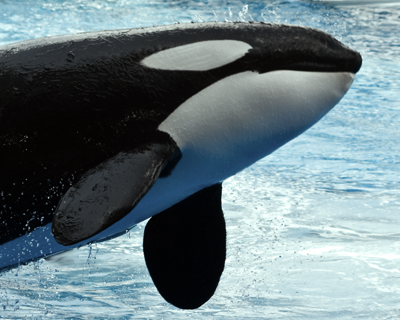 They have bold black and white color patterns and each orca has a unique white or gray saddle patch behind its dorsal fin. ?Male orcas can be 8-9 meters (26-30 feet) long and weigh up to?9 tons (18,000 pounds or 8,000 kg).? Females are usually smaller averaging between 5-7 meters (16-22 feet) in length and weigh considerably less.? They can swim up to 30 mph (48 kph). Orcas have over 40 curved teeth that interlock for gripping strength.? Many of the teeth measure as much as 10 cm (4 inches) in length. Orcas are fierce and fast hunters and are known for their powerful hunting skills.?? It is thought that the name "Killer Whale" was originally in reference to the orca's ability to successfully kill its prey.? In spite of this notorious name, there are no historical records of any orcas attacking humans in the wild. ?A pod of orcas often cooperate together using complex hunting strategies. Orcas are thought to have complex communication with each pod having it's own unique dialect. 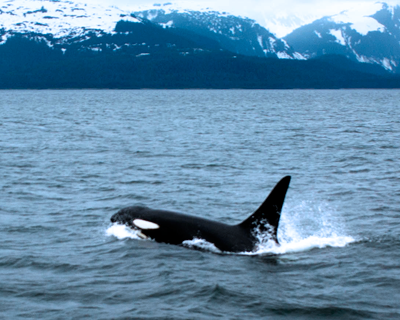 Like other cetaceans, orcas use echolocation to navigate their environment.? Dolphin Echolocation See an example! Female orcas typically give birth every 3 to 5 years with gestation lasting between 13 - 17 months.? The newborn orca is usually 6-7 feet long (1.8-2.1 meters) and weighs about 400 lbs. There are three main subgroups, or ecotypes of orcas, resident and transient and offshore.? The differences between each involve their diets, vocal sounds, dorsal fin shape and habitat range.? The resident pods eat mostly fish such as salmon and squid.? The transients prey on other marine mammals such as seals, porpoises and penguins. Residents live in large family pods with offspring often staying with their mothers their entire lives.? 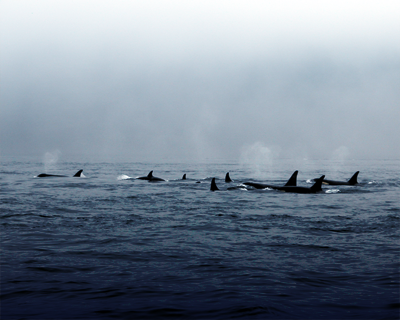 Transient pods are much smaller often containing only 3 orcas.? The recently discovered Offshore orcas live far off the coast of the northeast Pacific and are still being studied.? A comprehensive list of Orca (Killer Whale) facts. Facts and History of the Killer Whale. 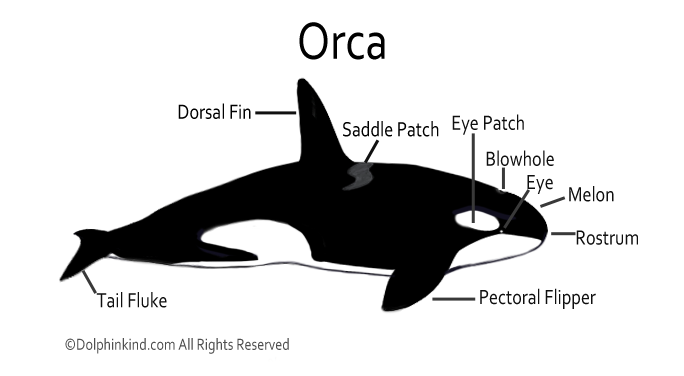 Killer Whale facts and pictures.